This Spring, Catylist is launching Commercial Exchange, a free-to-search commercial real estate online marketplace. All STLCDS Catylist Member Network listings will be automatically elevated to Commercial Exchange, catapulting your listings to public national exposure. 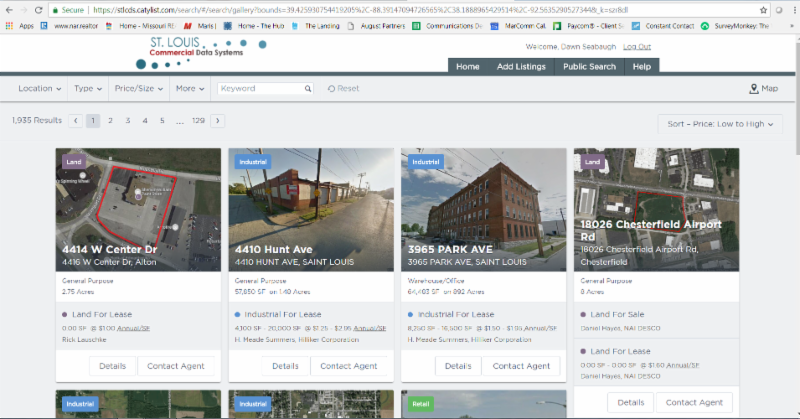 Investors, business owners, tenants, facility managers and developers will now have access to search STLCDS listing inventory and inquire directly on details about your For Sale or For Lease opportunities. In order to participate in the new national public listing portal and enjoy direct lead generation from buyers and lessee's, please contact St. Louis Commercial Data Systems. Now that we've built a sizable listing inventory, let's keep it accurate by updating listings regularly. The accuracy of the listing data will help build value in this member benefit provided to help St. Louis area commercial practitioners better cooperate and serve their clients. If you see an error on a listing, email stl@catylist.com . Catylist will also enter listing changes for you! To see your name on this list contact Major Account Executive Al Suguitan at al.suguitan@stlcds.com or 618-567-4269 or visit stlcds.com .